Old-fashioned planning works rather well at Velan… until the day its order book doubles with the arrival of Chinese contracts. 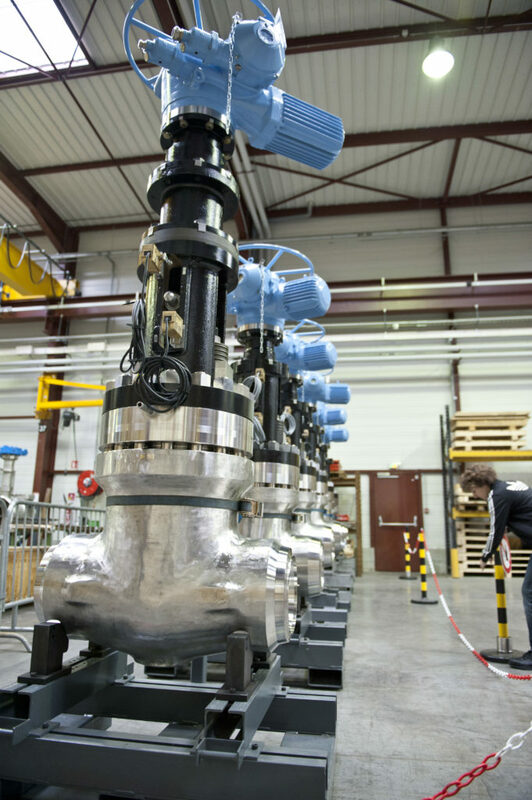 Velan designs, manufactures and looks after gate valves and steam traps for all major industrial applications. Industrial challenge: how to plan production in a highly constrained context? Velan is contacted to supply all the fittings for a major Chinese electro-nuclear project for the construction of 40 nuclear reactors. With this huge contract, the company is forced to expand and revise the way it plans. The scheduling was done via utilities developed in the ERP and Excel files. Moreover, the nuclear sector is very complicated in terms of deadlines as well as in terms of safety control constraints. The deployment of the DELMIA Ortems solution allows Velan to absorb a greater volume of orders and to increase its turnover. Collaboration between the different departments has become more fluid, all teams have access to the same level of information. Delivery times have been reduced thanks to better anticipation and smoothing of production. “”We have better control of deadlines, because we are able to anticipate, to follow up suppliers at the right time and to monitor manufacturing very closely. For example, last year we managed to reduce our delivery times on spare parts by 30% and we became 90% reliable compared to our commitments.” Pierre-Alain Eloy, Planning Manager at Velan.